Fine hospitality experience with warmly decorated rooms. The rooms at the Hotel Golden Oak have a classy feeling. The rooms are spacious and well-furnished. A lot of woodwork is involved in the room decor and all rooms are well-lit. 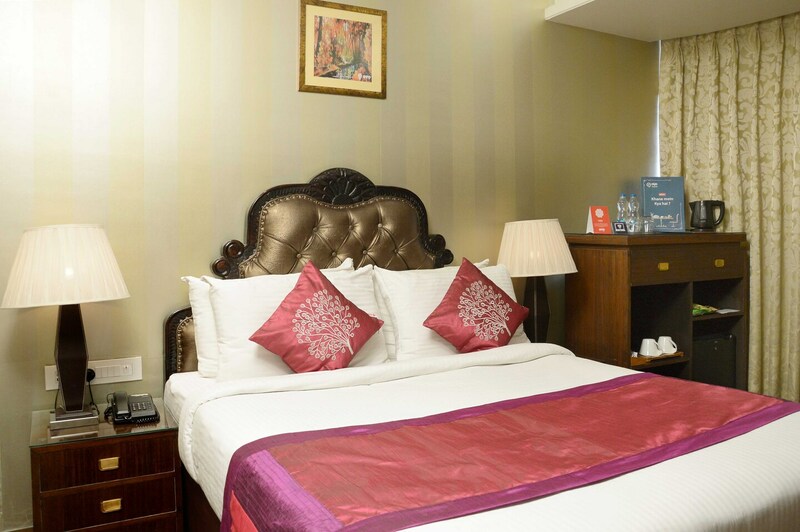 The rooms have been provided with a lot of windows which are covered with thick curtains which help the customers sleep even when the sun is up outside. The rooms have been decorated with wallpapers which enhance the overall regal atmosphere of the room. The additional features provided by the hotel are free Wi-Fi, a constant power backup supply, parking provisions, a mini fridge, a room heater and a hair dryer in each room, an elevator and card payment in all forms. The in-house facilities comprise a common dining area, a bar, a restaurant, and a common lounging area.